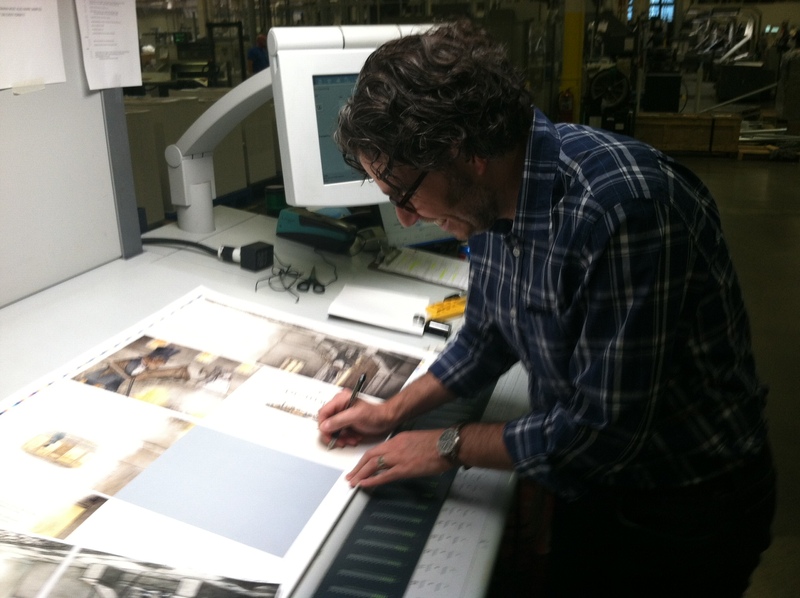 Publisher Rob Broder signing off on printer’s proofs. 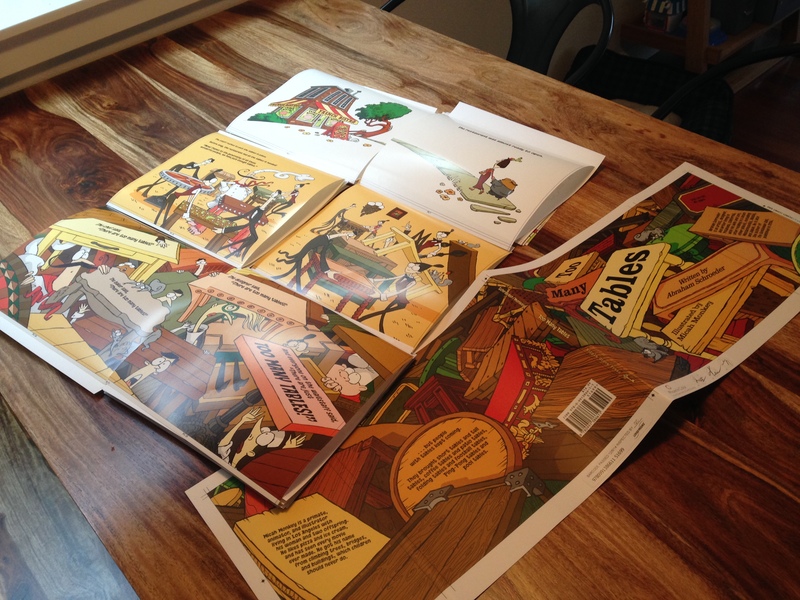 Printer’s proofs for TOO MANY TABLES by Abraham Schroeder, illustrated by Micah Monkey; A picture book is a collaboration among the author, editor, illustrator, and publisher. It’s important as a writer to leave room for the illustrator to contribute to the overall vision. 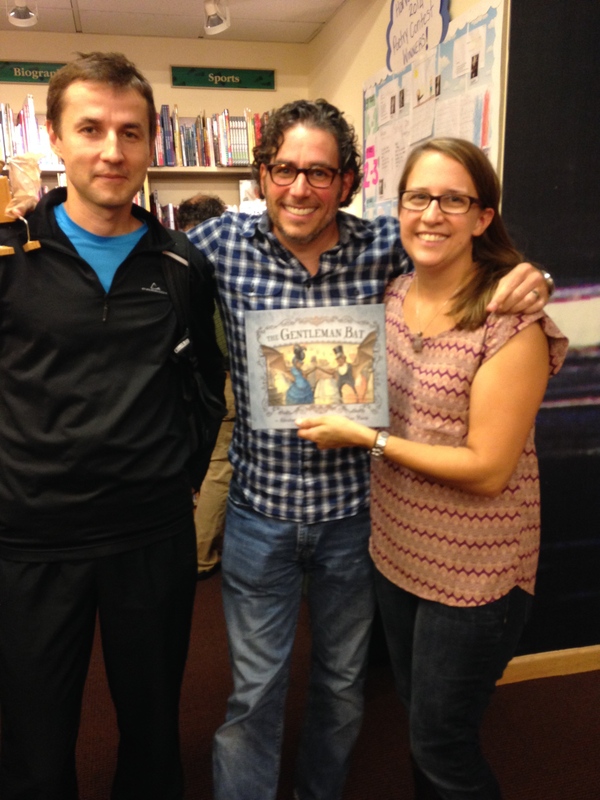 Ripple Grove Press is a family-owned picture book publishing company. Our mission is to surround ourselves with great writers and talented illustrators to make the best and most beautiful book possible. We want our books to be fun, imaginative, and timeless. We hope our books find their way to the cozy spot on the floor and are the last ones read at bedtime. Next Post: Should you follow a formula when #writing #picturebooks ? Hi Josh, It’s not that I do not like rhyme. Our first book rhymes, The Gentleman Bat, and another book coming out next year rhymes. It’s that a very large portion of our submissions rhyme… or they rhyme poorly. Personally, I think adults like writing rhymes because they think it’s easy. And adults think a child would like hearing a rhyme because they’re fun to read… while all a child wants is a good story. Yeah, I gotcha. I totally understand about rhyming poorly. It was just funny to see all the ‘hopefully it won’t rhyme’ comments above. Thanks! I sent in a manuscript and I am still waiting to hear, it has only been a couple of months. I appreciate your honesty and help. I believe I have passed those tests with my manuscript and am excited either way to hear a reply. Thanks for your post, whether I am accepted by you or end up going elsewhere it is good to know what goes behind the mind of publisher. I like how the article explains what not to do when submitting a new work. Here’s a few more: Do not submit anything original or new. Do not submit anything that hasn’t sold before. Do not submit unless you have been published before. Do not submit anything that is risky for the publisher to print (even if it’s great). Your best bet is to submit things that have a moral to the story. Something with zombies, vampires, aliens, cats, fish or cute animals works. In the business world, If it’s sold before then it will likely sell again and again .. and again, until we are sick of seeing the same types of books by the same authors on the shelves wondering how that crap always gets published. I cannot tell from your post whether you are a frustrated reader or a frustrated writer. Either way, I am sorry that you have experienced such disappointment with traditional publishing. Have you tried reading indie works? Or self-publishing your own work? I find this an exciting time to be a reader because there are so many avenues for an author to take on the risks that a traditional publisher has to be careful with, otherwise they won’t stay in business. I’ve found indie books that definitely break the mold that wouldn’t have seen the light of day following a traditional route. Maybe your book will be a breakthrough. Just sayin’. Go for it!